Gauranga Prabhu, disciple of H.H.Radhanath Swami Maharaja Graduated from IIT Bombay in 1993, his interest in Krishna Consciousness dawned during his college days.He moved in as a full time preacher at ISKCON Chowpatty. ISKCON is a member of Hindu Council of Australia. 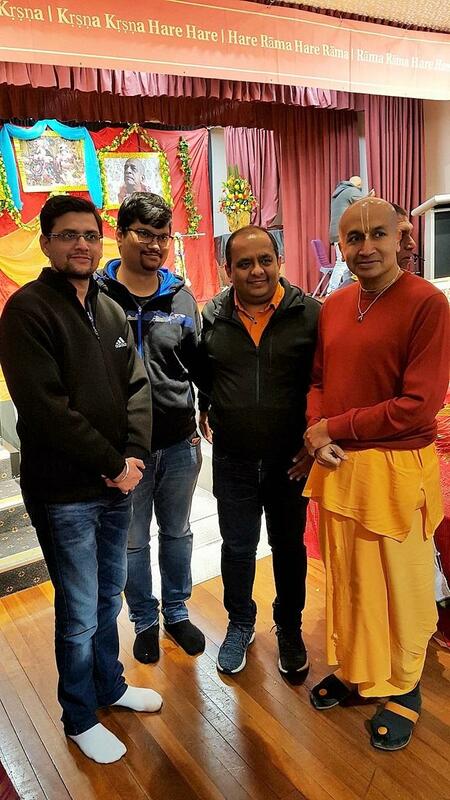 Mr Prabhu visited Sydney on 23rd June 2018 and held a special dinner and invited Hindu Council. 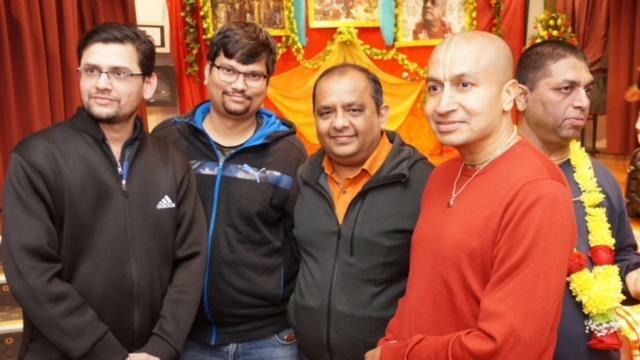 He shared the progress being made on Sri Sri Radha Govinda Temple (now also known as the Hare Krishna Community and Cultural Center) – a capital project aimed at constructing a new temple in Sydney. He asked Hindu Council to get the Hindu community involved in this project. Hindu council was represented by Joint Secretary Bimal Joshi, Dharmendra Modi and Udyan Sharma.